We have another week of releases for you. Tons of fun Christmas themes coming your way this week. I colored Prince Charming with copics and that was a ton of fun. I am not best with greens but he turned out great. 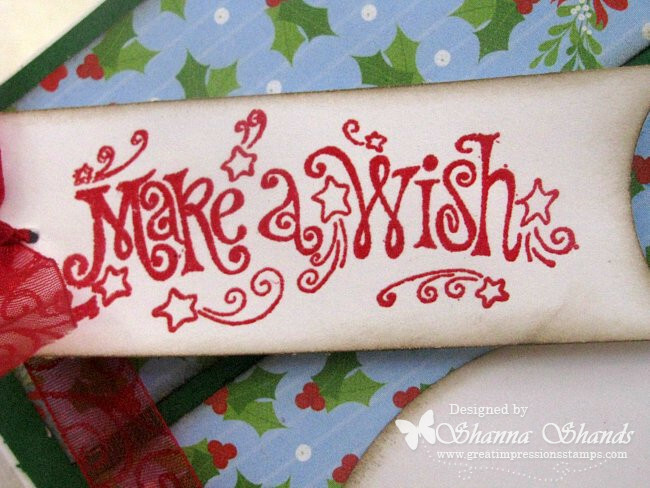 I used some Sparkle n Sprinkle Red Apple embossing powder to emboss the sentiment. I turned the sentiment into a banner by using a circle punch to chomp the ends off and some fun red ribbon along the boarder. The papers are from one of the new Bo Bunny collections. You are too funny Shanna! 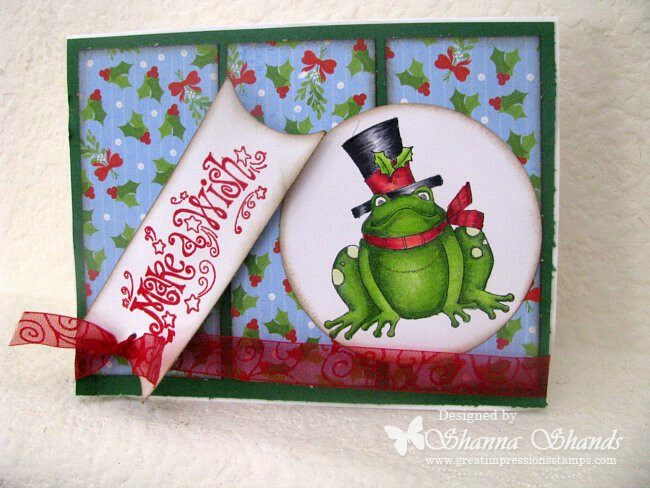 You are fantastic with greens :) Darling card! He is a very handsome frog, Shanna! 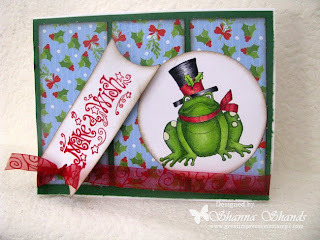 This card is so frogtastic with the sentiment and all. Love that sentiment! Paired with the frog it's even better! Fun card, Shanna!